When you first drop down from the blimp, signs will tell you that you are in Dusty Glutch. Dusty Glutch is one of the five places you can get to by horseback. You can’t leave town without a horse, so help some people in this part of the island first. If you talk to the lady on the tired horse next to you, she will tell you that she is part of the Pony Express, which was the mail service for the west. She says she has a letter for the Marshal in Diamond Plains. You can’t deliver mail without a horse, either, so keep walking to your right. You will pass by the multiplayer room, Dusty Glutch Hotel. After that you will see a photo booth where you can get a free picture if you’re famous. You’re not famous, so keep running to the right. You’ll pass by the trading post before finally coming to Rusty’s Ranch. There is a horse there that is rearing up on its hind legs. Talk to the man in front of the Horse. He says he wants you to try to tame the horse and if you manage to tame him, then you’ll get to keep him. You then get thrown into this little minigame. The goal is to try to keep your cursor on the white cursor marking under the horse. You really don’t need to be on the cursor, just close to it. The cursor will always be under the horse, and will move to the left and right. The cursor will never move up and down. Once you beat this minigame, you find out that your horse’s name is Elmer. You will get Elmer and a whistle that you can blow to make Elmer come in case you get separated. Click on Elmer’s saddle to ride on him. 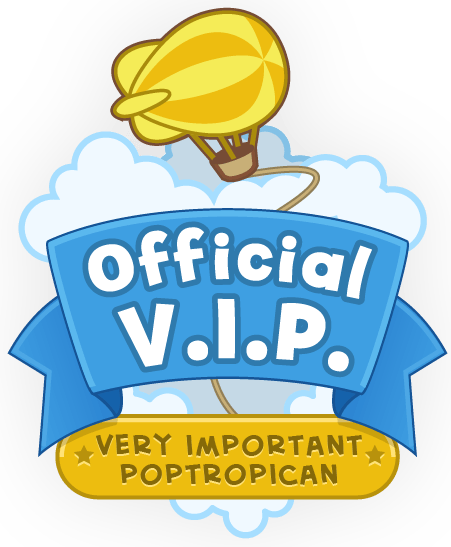 You control him just as if he was a Poptropican. Get the letter from the woman from the Pony Express and leave town. Click on “Map” in the top right to view your map. You need to go to either of the stars next to where it says “Diamond Plains.” To move your horse, hold down your mouse button in the direction you want to go in. You can run in water, and there are a few obstacles that Elmer will jump over. Go inside the Marshal’s office and talk to the man. He will say that the Marshal is probably in the Saloon. Go into the saloon and see if he’s right. Talk to everyone in the Saloon and ask where the Marshal is. The two men on the right will get mad at you and say that they will only tell you where the Marshal is if you can beat them at a game they were playing. The game is a bit… strange, to say the least. You have to shoot gum into a bucket. (Adults doing this in a saloon? These people are not good role models!) Click to shoot and then hold to calculate your power. Once the line passes over the bucket, let go. This will go on until there is a round where man messes up and you make it. The men will tell you that the Marshal is the man in the brown hat who is sleeping. Talk to him. You will give him the letter and read it to him. The letter says that the Grande Gang is getting ready to rob a bank and that the bank manager needs help. The Marshal says that he is done doing this kind of thing, so when you say that you want to do something, he gives you the Marshal badge. You can put on the badge if you want, but you don’t have to. With that, he somehow leaves by walking through the wall. This minigame is rather simple. All you have to do is put your mouse above the gray frame so you see yourself. 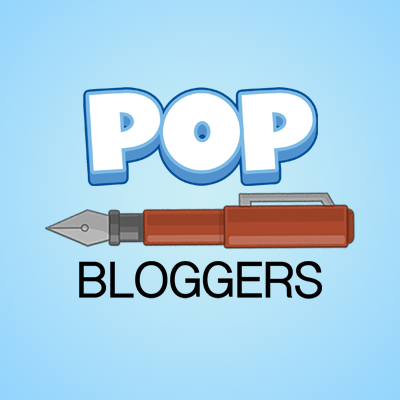 Keep your cursor there and your picture will be taken. Go back to Diamond Plains and show the man in the Marshal’s office your portrait. You can see that the portrait above you will change to yours, and the man will give you a pea shooter. Congratulations, you can now shoot peas. Um… yay? Suddenly, the room starts to shake! Part of the wall falls down, and the Grande Gang comes in! They escape with the prisoner who was a member. You are told to go after them! Next you should go to Dos Cactos. It is the town in the middle of the map. You can enter it from either side, but this guide will assume that you are entering it from the left. You will notice the shooting contest as soon as you walk in. You must enter it. To do this, talk to the man on the right with orange hair. 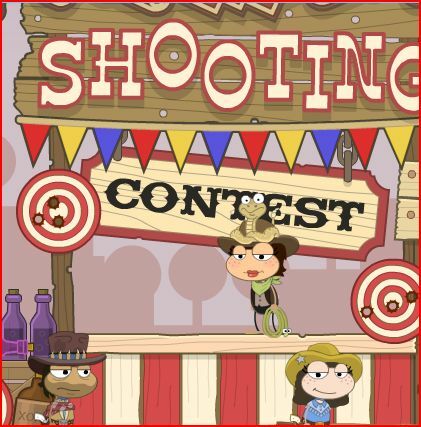 In this minigame, you must shoot a bunch of targets and defeat five opponents. You will have a circle with a plus in it that will tell you where you will shoot. The best strategy with it is to put the horizontal line of the plus on the upper edge of the target. This will guarantee that you hit the target. Once you fire, don’t check to see if it hit. Just move on to your next target. Also, the Old Gunslinger is right when he says, “Speed is good, but accuracy is better.” Keep in mind that you do lose points for missing. If you go to the right, you will come to a cliff. Jump up it, but avoid jumping on cacti! If you keep going to the right, you’ll see a man with a huge head. If you talk to him, he will tell you that he was tricked and that the only way to cure him was with a Blue Tulip. He will also tell you that Blue Tulips only grow in dark places. Slapjack is a pretty simple game – all you do is slap the jacks. If you slap a jack, you get all of the cards underneath it. If you slap a card that isn’t a jack, you lose a card. The last one with cards wins! 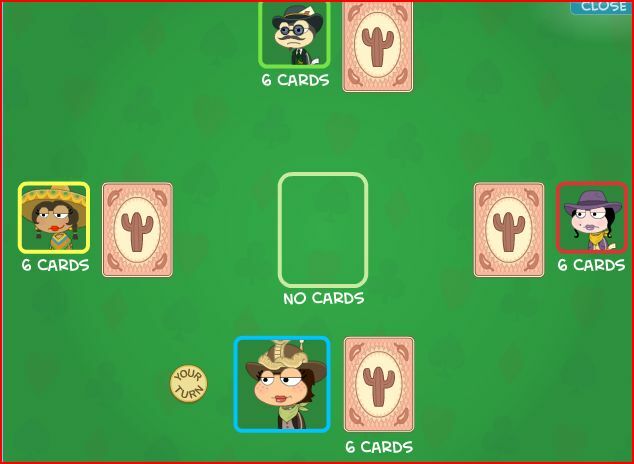 One very important tip is to KEEP YOUR CURSOR OVER THE CARDS IN THE MIDDLE. I cannot emphasize this enough. This will make it much easier to slap when a jack comes up. Sometimes, your opponents will try to trick you into hitting the Jack before they put it down. Make sure it is on top of the outline before slapping it. If you do mess up, however, it isn’t that hard to recover from. When it’s your turn, bring out your card very slowly. If it isn’t a jack, put it down on the deck. If it is a jack, put on the pile, before immediately letting go of the mouse and clicking again to slap your own jack. When you win, the man will give you a gold map. You can’t use it yet, though, because you don’t have anything you can pan for gold with. Leave Dos Cactos and head over to Rock Ridge. This is the town in the bottom right corner of the map. If you enter from the left, you will see a woman who doesn’t look happy. If you talk to her, she’ll tell you that one of her calves got off into the desert. Ask her if you can help and she’ll give you the lasso. Now, you’re off to find that calf! Follow the hove prints to find the calf. The hove prints may seem to fade, but they will start up again after they cross a river. After a while, you will see the calf! As soon as she sees you, she will run off. Press the spacebar to use your lasso. You will see it circling around you. Press the spacebar again to make it launch in whatever direction it was facing. Catch her with your lasso, then take her to the ranch which is in the bottom left corner of the map. Make sure the rope doesn’t stretch too far, or it will break. If you lose the calf, she’ll run away, and you’ll probably have to start over by going into Rock Ridge and then leaving again. When you finish, go into town and talk to the lady. She will thank you and give you an old saddle. She will then tell you that five more cattle have wandered off. This part is optional, but when you do it you get a cool costume – the rattlesnake wrangler. As far as I know, there is no certain place where the cattle wait, unlike the one calf. Just look for them in when you’re running from place to place. Like its item card suggests, we need to trade the saddle for something. Go back to the trade post in Dusty Glutch. Climb up to the top and talk to the man in the beaver cap. Ask him what he’d be willing to trade for the saddle, and then tell him you want the gold pan. Now we can go panning for gold and get rich! Go to the star on the far right edge of the map, just where the two rivers meet. Click on a sparkly spot of the water while it is sparkling. Then shake out all of the rocks and silt. It is okay to shake quickly at first, but once you see gold, slow way down to ensure that the gold doesn’t fall back into the river. If you get a spot in the water moments after the sparkle fades away, you will get a few specs of gold. Keep trying! Now that you have the golden nugget, head back down to Rock Ridge. Pass by the person who asked you to chase her calf until you come to a caravan that says “R.J. Earl’s” on it. You’ll see a man try a drink. Just like that, he becomes invisible! This seems pretty cool to me, but for whatever reason, the man doesn’t like it. He runs off. Something that makes you invisible could really come in handy, so use your gold nugget to buy it. R.J. Earl will give you one of everything for the precious piece of gold. If you keep going to the right, you’ll see the bank that the letter to the marshal was talking about. There’s nothing you can do there, though, so climb up the building to the left of you. Then go to the right. Soon you’ll come to the mine. The door is locked, but luckily, a nearby canary has the key! No matter how you jump, he’ll dodge you. The only way to get the key is to shoot the poor Canary with a pea. He’ll drop the key. Pick it up, and you can go in the mine. Run through the mine. It will start to cave in! Jump on the mine cart and get going! You will now be in a mine cart, traveling along the rails. 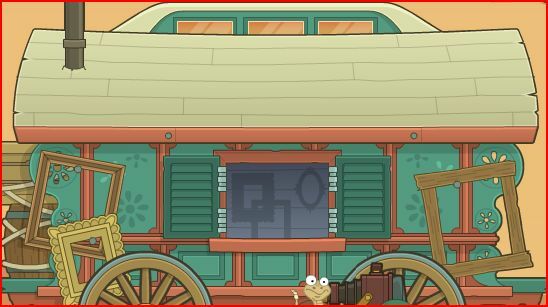 This may look like the same thing as the mine cart minigame on Nabooti, but they’re completely different. In this minigame, you must shoot switches to change the direction the track goes to avoid rocks and pits. The best strategy is to keep shooting, since you have infinite ammo. Aim for the red targets, which will then flip over and turn green when hit. You always want to hit these switches – they will never try to trick you. The other great thing is that once switches are hit, they are irreversible, making it impossible to accidently hit the switch again and go flying. This may be a long minigame, but overall, it’s not that hard. Anyway, now that you have the blue tulip, go back to Dos Cactos. Give the blue tulip to the man with the huge head. He’ll give you a half of “Map to Hideout.” Oooh! Innterrrestting! Now, go back to the trading post in Dusty Glutch and trade for the oil can. Go back to Diamond Plains. Go to the clock tower, which is right next to the Marshal’s office. Climb up the scaffolding and enter next to the man with orange hair. This is, in my opinion, the most annoying part of the entire island. You must work your way through the clock tower and get to the top left. While doing this, look out for weak spots on the planks. They will collapse when you step on them. If you fall down, use the crates to get yourself back up. There are also gray pulleys you can click on to make metal beams fall. If you really want to, you can leave and enter again and the weak spots and the beams will reappear. With that being said, the following is the easiest route to take. Land on the left half of the first platform, then jump as far as possible to the right to lad on the next platform. Step on the weak spot and fall down. Do NOT click on the pulley. Jump to the right again and land on a nearby smaller platform. If you hit the weak spot, jump on the crate and then back up again. Jump up onto the platform you are able to see, and then jump again to avoid the weak spot in it. Fall down to your right and fall through the weak spot. Push the crate to the right and go up the ladder. Jump over to the platform you see in the distance, but be very careful not to step on the weak spots. Jump over again and avoid the weak spot. Pull the pulley, and jump across the next two platforms. Be sure not to fall through the weak spot that’s well hidden in the middle! Finally, jump to the huge red beam! Yay! You’re done with that part! You’ll come to a large set of gears. Use your oil can to oil them. You’ll see a large circle with two white gears connected by three paths of rusty gears. All paths are eight gears long. You only need to oil the gears in one path. The problem, though, is that you barley have enough oil to completely loosen eight gears. You’ll want to pick the path with as few rusty gears as possible. Keep oiling the gears until they twinkle and are a whitish green. 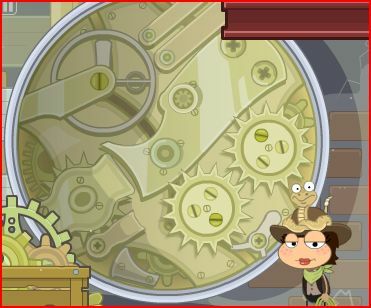 If you run out of oil before you can finish oiling everything, hit close and click on the gears again. You finally can leave the clock tower now. If you talk to the man with orange hair, he will tell you that the train is pulling into the station! Go to the right and see if he’s right! Sure enough, there is a train at the train station. Get off of Elmer (if you’re on him) and get on the train! When the map comes up asking where you want to go, click on Rock Ridge. The train will pull away from the station. You’re having a great ride, when all of a sudden, OH NO! THE TRAIN IS BEING ROBBED! Shoot at the bandits with your spud gun and they will go back. Don’t let them shoot you or you will lose a life. You will lose if one gets to the front of the train. You have to survive for the amount of time indicated by the clock on top. The best strategy here is to start in the back and wait for the bandits to come. When they do come, start to chase and shoot them down. Keep in mind that the spud gun cannot shoot very fast. Reload in between bandits. That clock moves incredibly slowly, and it can be hard to stay alive for that long of an amount of time. You will also be able to use concentration carbonate, one of the tonics you bought with the gold nugget. Press the spacebar to use it. What will happen is that the bandits will freeze, but you won’t, making it very easy to hit them. Just shoot a little bit in front of them so they can run into the bullet as soon as you soot. I highly recommend using this. Use it sparingly, though, because even though it gets refilled after the robbery, you only have a finite supply during the robbery. If you go check on the bank, you’ll see that it’s completely been destroyed. El Mustachio and his gang robbed it! They left a scrap of paper behind though. It’s the second half of the map to their hideout! Use your horse whistle to call Elmer (he’s still in Diamond Plains, remember?) and lock up El Mustachio and his gang! The location will be added to your map. It is the star on the far left in between the ranch where you took that calf and Dos Cactos. You’ll see that the hideout is completely surrounded by El Mustachio’s henchmen. Use the transparency tonic to avoid being seen to get in. Inside, you must shoot at objects to distract Grande Gang members before knocking them out with a potato. Shoot at anyone who looks like they are about to shoot you, and they will retreat to hide behind whatever they are hiding behind. This really is not a very hard minigame. You can use concentration carbonate, but I don’t know what you’d use it for. You just don’t need it. All you have to do is shoot at the money bag on top of the safe, the wick on the candle, the musket, and the small barrel of root beer. The gang members will come out and walk around. Shoot at them when they stop to shoot you. As soon as you do this, El Mustachio says that he’ll never get captured, before running out the door. He jumps on his horse and takes off. Guess what? You have to catch him! First, El Mustachio is going to start running around. At this point, just chase him. Soon he’ll stop, and your character will say “It’s the end of your line now!” At this point, use the lasso on him and take him back to Diamond Plains. This part is a lot like the part when you were taking the calf back to the ranch. As soon as El Mustachio starts tugging on the rope, stop. He’ll catch up as soon as you stop. 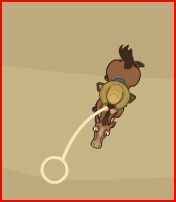 The rope can break, which will cause El Mustachio to run free and you’ll have to start the whole thing all over again. Once you make it to Diamond Plains, you’ll be taken to the Marshal’s office. El Mustachio will be locked up in the jail cell, which is newly repaired. The previous marshal will then finally give you your long awaited island medallion. Yay! is anyone else having trouble on the gears? this doesn’t appear to be working for me! It may take awhile to find out the puzzle. Just keep trying!